I love the No Plastic Bag every Wednesday initiative. 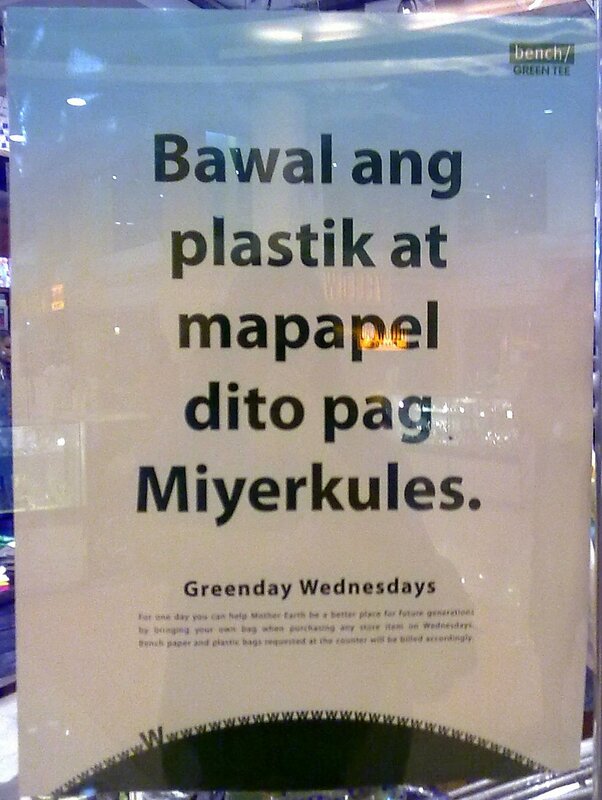 I saw this first in SM Supermalls and I've read that the DENR is encouraging more establishments to participate. Kudos to the stores and supermarkets taking part in this. And another kudos to Bench for a creative campaign. I hope all shops nationwide follow suit, soon. For one day you can help Mother Earth be a better place for future generations by bringing your own bag when purchasing any store item on Wednesdays. Bench Paper and plastic bags requested at the counter will be billed accordingly.